"Lux Radio: Its a Wonderful Life"
Born the son of a hardware store owner, Jimmy grew up atop Vinegar Hill in Indiana, Pennsylvania. As a young child, he enjoyed giving magic shows and plays in his parents' basement and sliding down the staircase on an Oriental rug. Under the watchful eye of the neighborhood barber, Jimmy learned to play the accordion, which helped him slip his little foot into the show business door. 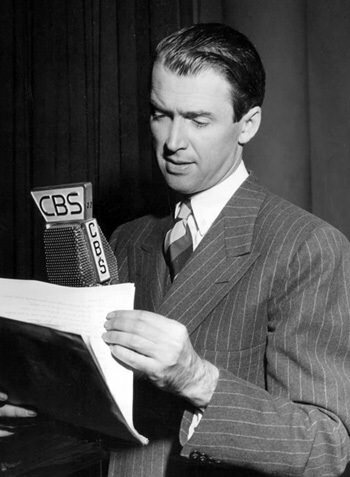 Before breaking into Broadway plays, James Stewart played an accordian in a tearoom. His little-known skill was featured in the 1955 film The Man from Laramie. After getting a degree in architecture during the depression, Jimmy became resident accordionist with the University Players from Falmouth, Massachusetts. He went on Broadway with them in "Good-Bye Again and "Carrie Nation. After working a brief stint at the family hardware store, Jimmy played in several more Broadway plays and hot footed it to Hollywood to play in his first film in 1935, "Murder Man with Spencer Tracy. 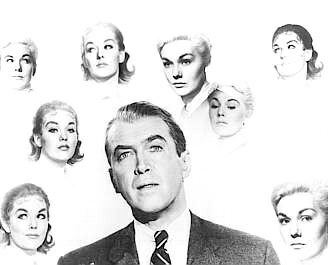 He was in 24 films during the next four blissful Hollywood years. 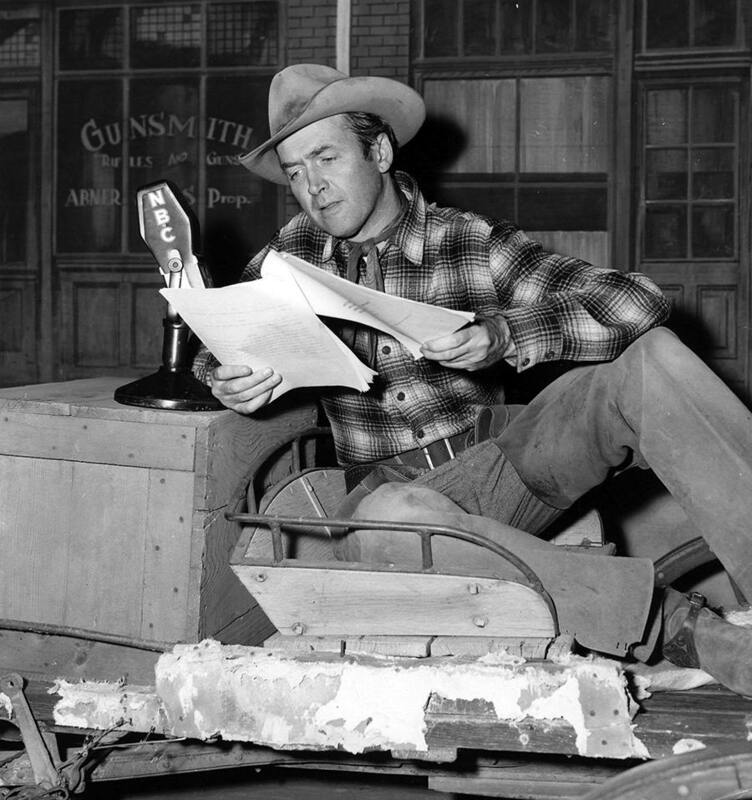 Jimmy always loved the radio and appeared in many shows over a period of 66 years. He frequently made appearances on Lux Radio Theater, including a dramatization of "It's a Wonderful Life. He also played many parts in Screen Guild Theater. The show ruled that all actors donated their salaries to the Motion Picture Relief Fun to help support the Motion Picture Country Home that housed retired actors. Stewart also hosted Good News of 1938 and 1939, which was an outlet to promote MGM stars' new pictures and personalities. Before going overseas to serve in the Army Air Corp during WWII, Stewart made several radio appearances in various shows in support of the war. One popular show was We Hold These Truths, which celebrated the 150 th birthday of the Bill of Rights in 1941. Over 60 million Americans tuned in to hear the show, setting a record for the largest radio audience. Stewart gave a speech and presented the Pres, FDR, on the show. In 1948, James Stewart made his homecoming performance on Theater Guild of the Air in "The Philadelphia Story." He also appeared in several variety shows such as Bing Crosby and Bob Hope's shows. In the 1950s, he went on to star in a popular western radio show, Six Shooter. 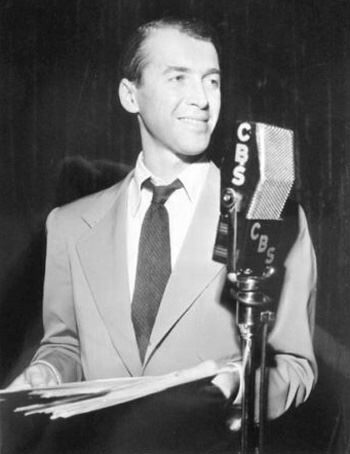 From his humble accordion-wielding-hardware-and-doorknob-selling beginning to his glorious days as a great film and radio star, James Stewart has become one of the most well known and loved Pennsylvanians of all time.